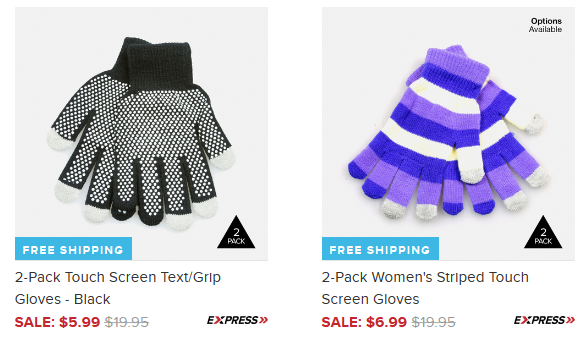 Touch Screen Gloves As Low As $5.99 + FREE Shipping (Reg. $45)! You are here: Home / Great Deals / Touch Screen Gloves As Low As $5.99 + FREE Shipping (Reg. $45)! These would make GREAT gifts this Christmas! Snag these cute Touch Screen Gloves for As Low As $5.99 + FREE Shipping (Reg. $45)! If you order today, you will have these delivered by Christmas Eve, yay!